And one pick that just wouldn’t go away. Welcome to the Daily Thread. During the month of June, we are talking NBA Draft. As we lead up to the 2018 NBA Draft on June 21st, we will be revisiting the Spurs draft choices. Today we remember the 2007 NBA Draft. After winning a championship against the (first incarnation) LeBron James-led Cleveland Cavaliers, the Spurs went into the 2007 NBA Draft in search of a big man. Although the Spurs drafted Brazilian Power Forward/Center Tiago Splitter, he signed a two-year contract with Saski Baskonia that paid him significantly more than rookie scale would allow. The wait was worth it as Splitter joined in 2010 as a back-up center before joining the starting five two years later. Splitter was a part of the Spurs 2014 Redemption NBA Championship. Splitter was traded to Atlanta for Georgios Printezis and a 2017 second round draft pick in an attempt to clear cap space to chase LaMarcus Aldridge, the most coveted free agent of 2015. Unfortunately, Splitter spent much of his post-Spurs years riddled with injury. He retired after a hip injury. He’s been spotted since at the Spurs gym working out with younger players. He now serves as a pro scout for the Brooklyn Nets franchise under current GM and former Spurs player and assistant coach Sean Marks. As mentioned yesterday, the Spurs has acquired the higher second-round draft pick from the Milwaukee Bucks in exchange for Damir Markota. That was used for Marcus Williams as the 33rd pick in draft. He wore #33 and played 1 game before being waived. He played for the Austin Toros before heading to the Los Angeles Clippers. A season later Williams would return to the Spurs for 2 games, ironically wearing the #2. In total, Williams played 13 NBA games, 3 of them for the Spurs, before finishing out his career in 2015 playing in China. In the 58th pick, the Spurs drafted Georgios Printezis (yes, the exact same one mentioned above) but traded him to the Toronto Raptors for a second round draft pick in 2008. His rights were later traded to the Dallas Mavericks for Alexis Ajinça. In 2011, his rights were traded to the New York Knicks. He turned down a contract with the Knicks and his rights were then traded to the Portland Trailblazers. A year later, his rights were traded to the Oklahoma City Thunder. And yet another year later in 2014 his rights went to the Atlanta Hawks where they stayed for another year until those same rights were then traded back to the Spurs for Tiago Splitter. Mind you, Printezis never played in the NBA. But his rights definitely made the rounds. He’s played in Greece with Olympiacos for twelve of his fourteen seasons. In that span, he has won two EuroLeague Championships. So, to recap – the 2007-08 season ended with exactly one game featuring a player drafted by the Spurs during the summer. 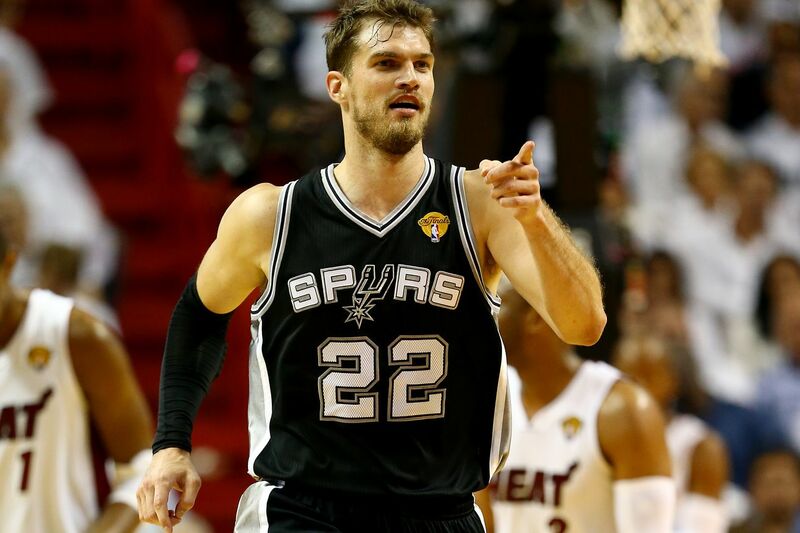 The dividends would emerge later through Tiago Splitter, possibly the most utilized Spurs draftee since Manu Ginobili. And draft rights to a player who would end up with the Spurs not once but twice. If you think this is a lot to take in, wait until Printezis’ trade pick is used in 2008.